To use, push the button to install & pull the side tab to release. Holds up to 3kg. For all non porous surfaces. Availalbe in white & chrome. One step installation. 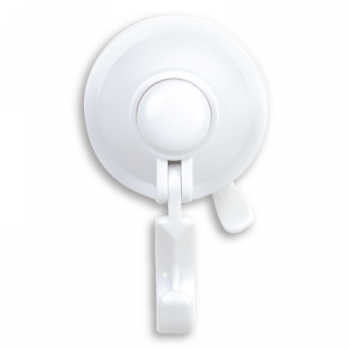 Push the button to install & pull the side tab to release . Holds up to 3kg. For all non porous surfaces. Available in white and chrome. One step installation. Push the button to install & pull the tab to release. Holds up to 3kg. Available in White and Chrome. One step installation. 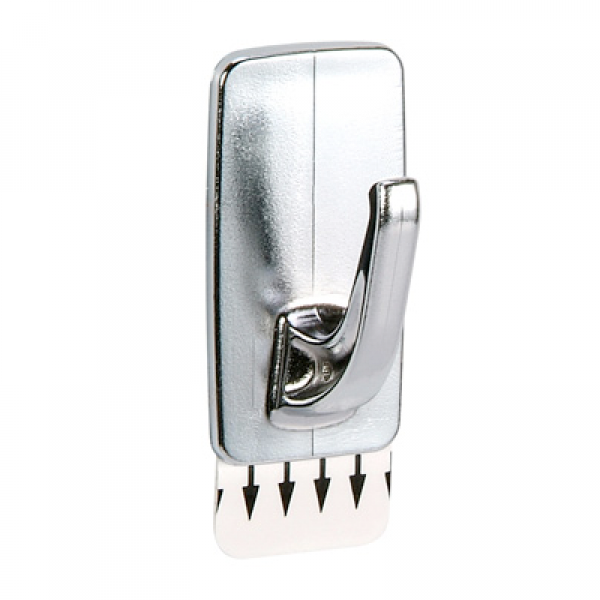 Push the button to install & pull the side tab to release. Holds up to 3kg. 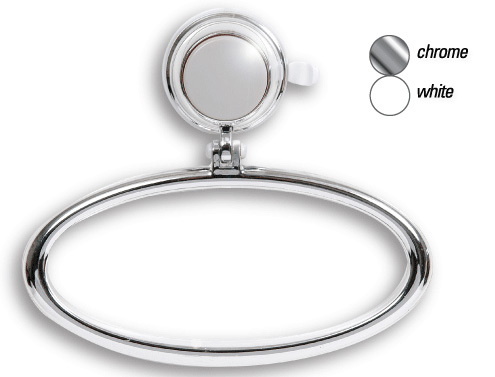 Available in white and chrome. One step installation. 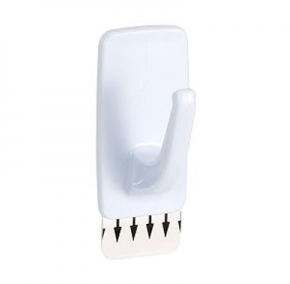 Instantly transform your room with our affordable premium Suction products with our toothbrush holder. You don't have to drill. No mess. It can hold up to 3kg. It only takes one step fo you to install. White ABS plastic. 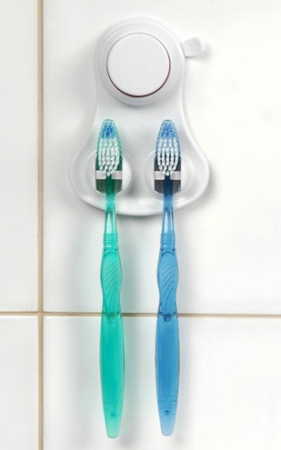 It can hold two toothbrushes. It can hold up to 6kg. Wide 350mm shelf . 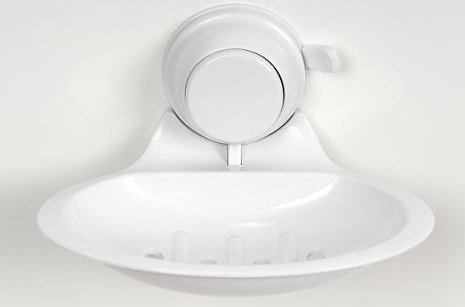 It i s ideal in bathrooms, kitchens & laundry. Available in white only. One step installation. Holds up to 6 kg. Unique design holds larger toothbrushes & razors! 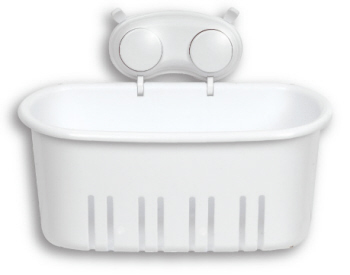 Portable white suction basket. Available in white only. One step installation. 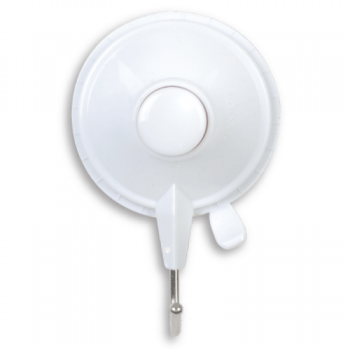 Super suction mounted. Super Suction Toilet Roll Holders now include a special adhesive disc for mounting on porous surfaces such as Plaster and Timber. If you mount this products directly on Tiles or Glass the disc is not required. Available in White and Chrome. One step installation. 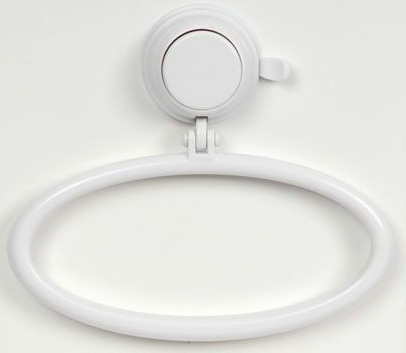 If you mount this product directly on Tiles or Glass the disc is not required. Available in white & chrome. One step installation. Heavy Duty hook holds up to 6kg. 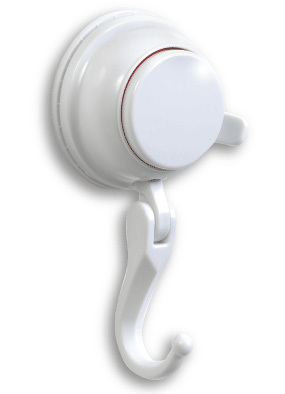 Unit has a white swivel hook for many uses around the home or office. One step installation. 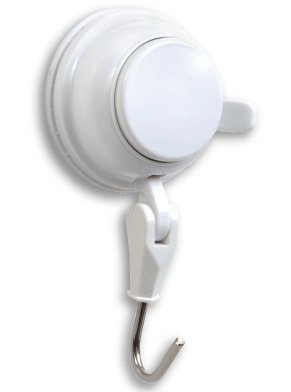 Hook is designed for mounting on non porous surfaces. 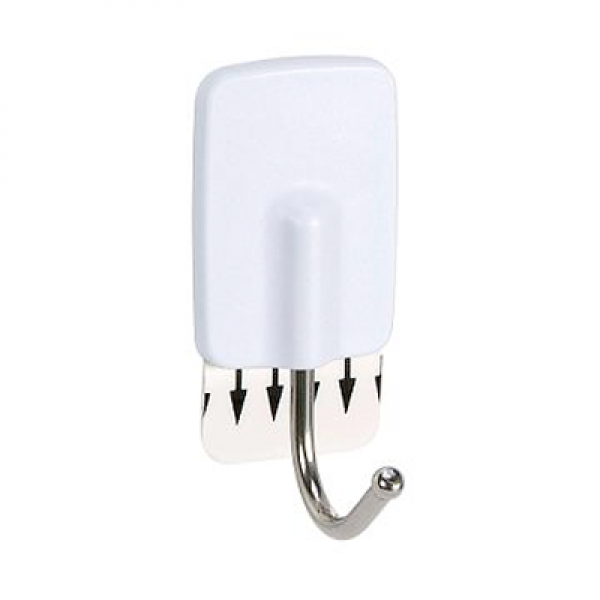 Heavy Duty hook holds up to 6kg. 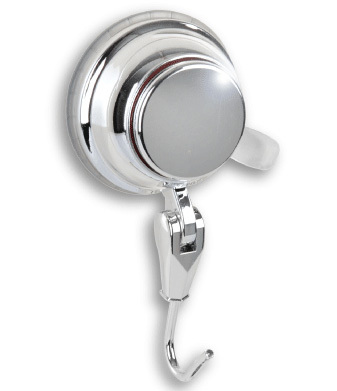 Hook is made from Quality stainless steel. Simply press the button to install & pull the side tab to remove. 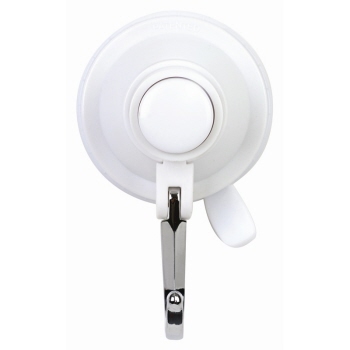 This product comes with a mounting disc, which enables you to mount on most smooth surfaces eg Tiles, Glass, Timber, Plaster walls, behind Doors etc. Available in white only. One step installation. It has a unique design that stops your razor falling off the hook. Simply push the redicator button to install & pull the side tab to remove. For all non porous surfaces. Available in white & chrome. Holds up to 6 Kg. One step installation. It has a unique design that stops your razor falling off the hook. Simply push the redicator button to install & pull the side tab to release. For all non porous surfaces. Available in white & chrome. It can hold up to 6kg. One step installation. 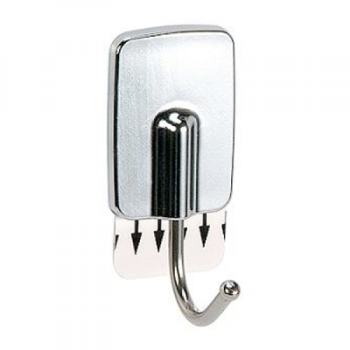 Stylish chrome design hair dryer hook. It can hold most hair dryers. 6kg Holding Power. One step installation. It has detachable chamber and exclusive surface warning indicator. 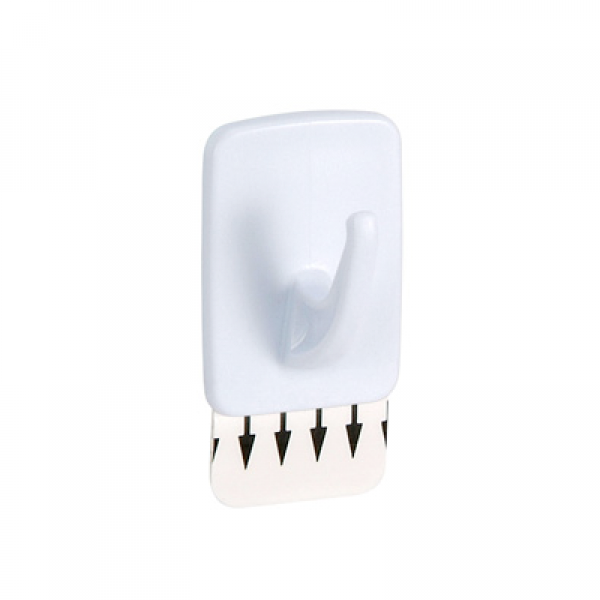 Adhesive Mounting Disc Applicator. Fix to plaster and timber surfaces. No nails or glue. Available in Small & Large sizes. White ABS plastic super suction storage hook that can hold up to 6 kg. One step installation. With no drills required, no mess and no fuss our advanced technology design gives our suction pads a stronger more powerful suction. 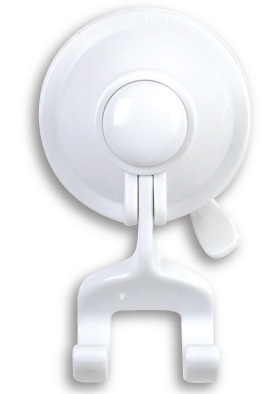 This super suction white hook is can hold up to 5kg. 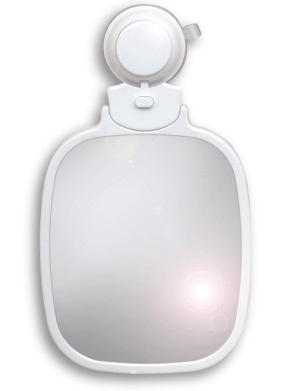 It can be mounted to most surfaces and can easily be removed. 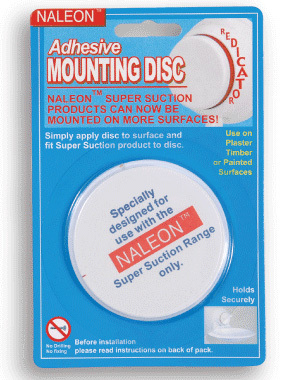 It includes mounting discs for porous surfaces. Super Suction. One Step Installation. 3kg Holding Power. ABS Plastic. Surface Warning Indicator. It provides the perfect storage solution for your bathroom. Attaching to any non porous surface. Super suction hook that can hold up to 3kg. It has surface warning indicator. 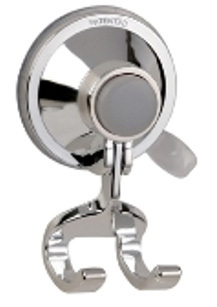 It is ideal for homes, motor homes, caravans, and offices. Use disc provided for porous surfaces - plaster, timber, porous tiles. If red line appears on indicator, remove and check suction. Hang up your bathrobe in style with this elegant chrome hook. It does not require any drills. 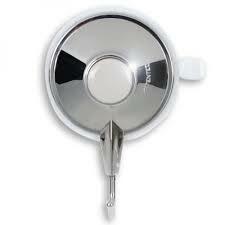 With this super suction chrome, it can hold up to 5kg. It can be mounted to most surfaces. It has included mounting discs for porous surfaces. It can easily be installed and removed. 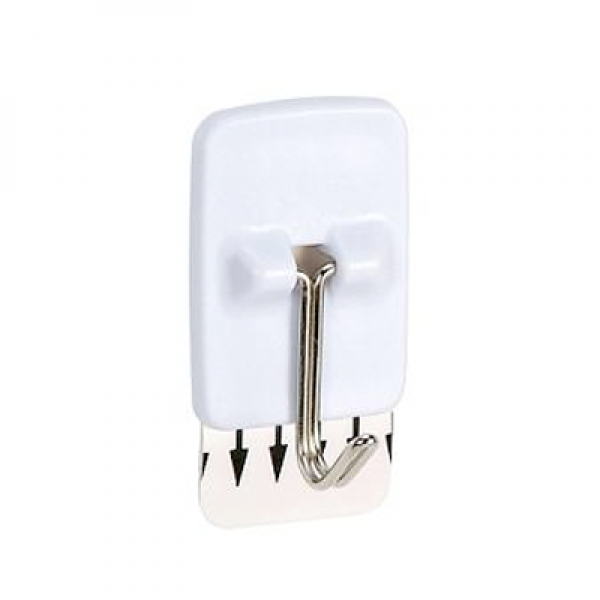 This 3.5cm x 2.5cm self adhesive white hook can easily be removed leaving no marks. It can hold up to 2kg. It has fixed hook. Reinstall using adhesive pads. 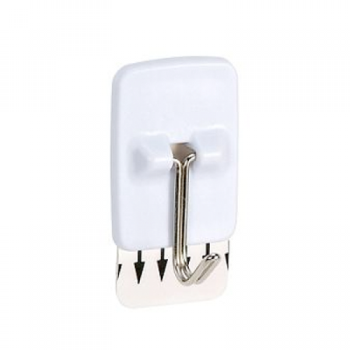 This 5cm x 2.5cm self adhesive white medium hook can easily be removed leaving no marks. It can hold up to 2kg. It has fixed hook. Reinstall using adhesive pads. It can hold up to 2kg. It has rust resistant stainless steel hook. 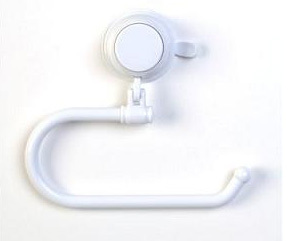 Swivel hook. It measures 3.5cm x 2.5cm. 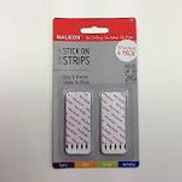 Reinstall using replacement strips. It can hold up to 2kg. 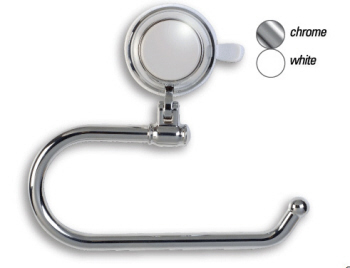 It has rust resistant stainless steel 'J' hook. Swivel hook. It measures 5.5cm x 2.5cm. Reinstall using replacement strips. It can hold up to 2kg. ABS plastic - chrome finish. 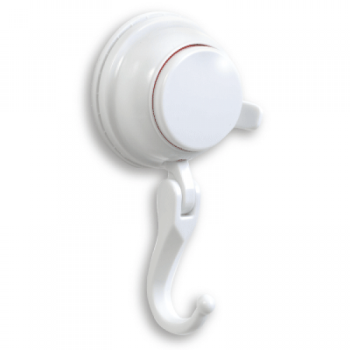 Swivel hook. It measures 5cm x 2.5cm. Reinstall using replacement strips. It can hold up to 2kg. 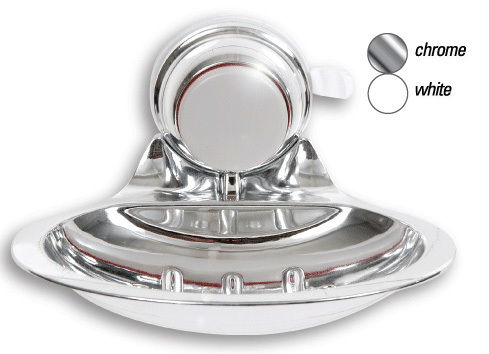 ABS plastic - chrome finish. Swivel hook. Rust resistant stainless steel hook. It measures 4cm x 2.5cm. Reinstall using replacement strips. It can hold up to 2kg. ABS plastic - chrome finish. Swivel hook. 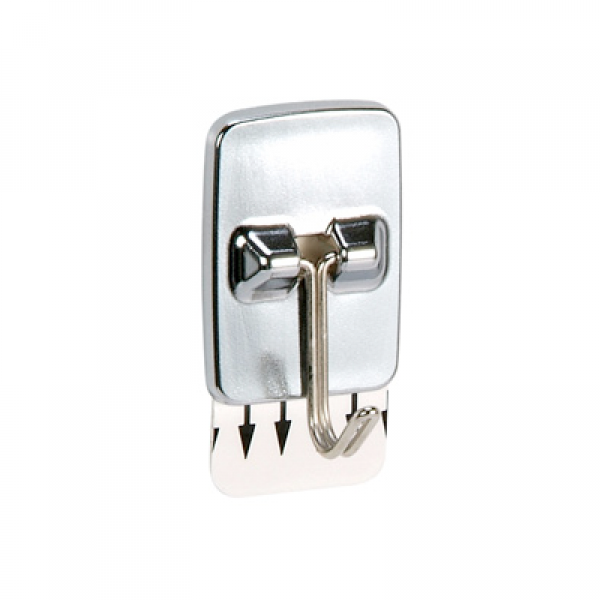 Rust resistant stainless steel 'J' hook. It measures 5.5cm x 2.5cm. Reinstall using replacement strips. 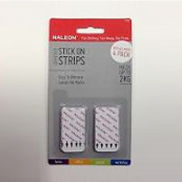 Replacement adhesive strips for medium hooks below.